Demonfuse is a 2 Mana Cost Common Warlock Spell card from the The Grand Tournament set! 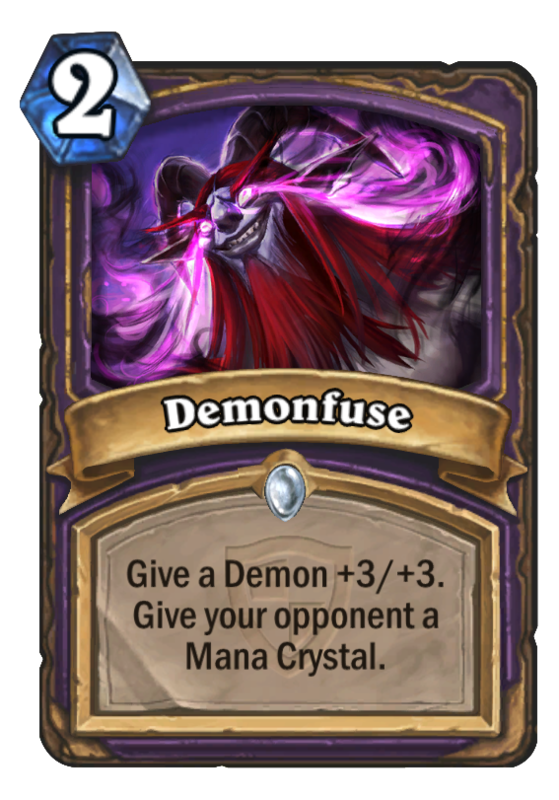 Give a Demon +3/+3. Give your opponent a Mana Crystal. Very dangerous when attached to a demonbomb. You CANNOT buff Lord Jaraxxus if he has replaced your Hero.